CLOUDPLUS® 5 (CP5) is an advanced high-performance computing and storage platform designed from the ground up to be scalable, modular, secure, and compliant. Deployed inside DataBank data centers, CP5 allows enterprise customers to easily integrate their colocation assets and workloads into a true hybrid solution. Your IT infrastructure houses your hardware, software and network, and as you work through your digital transformation, the demands placed upon it will only increase. Your infrastructure and the applications that make doing business possible should empower your IT team — not burden it. 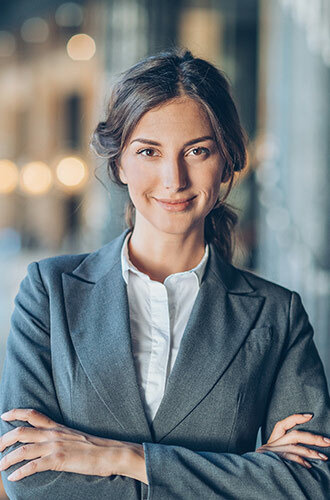 Partnering with a cloud platform provider who offers comprehensive solutions for enterprise needs will refocus your IT team and put you in a position of superior competitive advantage as digitalization and new, innovation-focused workloads continue to take hold. hyperscale cloud are never obstacles—the solution is physically resident in our existing colocation facilities. CP5 can be consumed either as IaaS or with our proactive managed services (PaaS), which unburden IT teams from the day-to-day operations of maintaining, patching and securing their environment. Imagine having everyone, and everything, connected in one simple-to-use management portal. The DataBank Customer Portal gives you and your team real time analytics into performance, security, compliance, tickets, devices and more. Communication and clarity truly enhance your Colocation solution. Your mission critical infrastructure functions 24/7/365, and our support team is right there with you – never missing a beat. Having single vendor access to expert services and solutions lets you move at the speed of business. This is the Data Center Evolved. You get what you need when you need it. Complement your cloud deployment with Managed Services, Security, Compliance, DRaaS, Security, and Professional Cloud Migration Services. DataBank has the people, the process, and the technology you need for success. 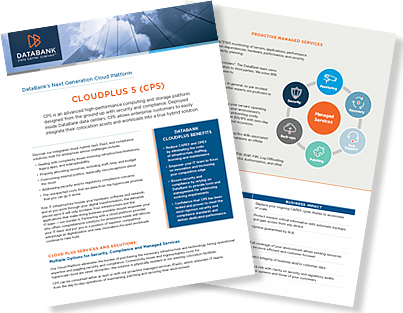 Learn more about CloudPlus 5 (CP5). Our advanced high-performance computing and storage platform designed from the ground up to be scalable, modular, secure, and compliant.